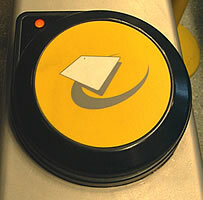 Tickets can be bought from ticket machines or ticket offices at bus or underground stations, or sometimes from some local shops such as newsagents. it is cheaper and more convenient to use an electronic card called an Oyster card..
You must buy a ticket before you travel which is valid for your whole journey, or you will have to pay a penalty. If you have a travelcard which only covers travel in certain zones, you need to buy a ticket extension before travelling (otherwise you will need to pay a fine). For example, the Tube stations at Heathrow are in zone 6, so if you have a zones 1-4 travelcard you will also need to buy a single ticket for travel through two zones (zones 5 and 6). You must buy an adult ticket if you are 18 years old or over. You can pay a lower child fare if you are between the ages of 5 and 15 (you will need an Under 16 Oyster photocard) and there is also a special fare if you are 16-17 (you will need a 16-17 Oyster photocard). Children under 5 can travel free. If you are a student and are studying in London you may be able to get a discount if you apply for a special student photocard.